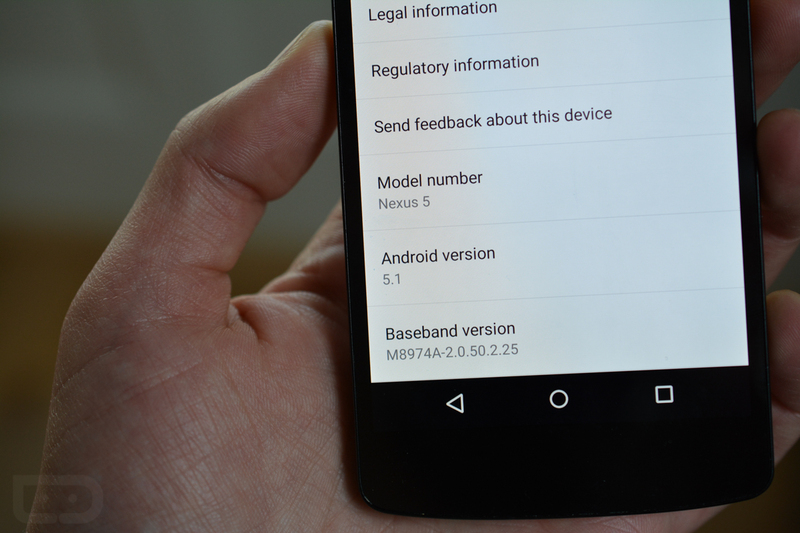 What’s New in Android 5.1? Here are a Few Things. Yesterday, Google took the wraps off Android 5.1, which remains as Lollipop and is mostly an update that pushes performance improvements and bug fixes. With that said, there are still a whole bunch of subtle changes here and there that you will either appreciate or probably never notice unless someone were to point them out to you. New animations, tweaks to the way settings work, and better instructions in areas like Screen Pinning are a few of the new additions. We have tried to gather the bigger of the bunch below, but as you find more, be sure to drop us a note in the comments. There are new animations all over. Most are really minor and don’t add any new functionality, but that doesn’t mean we don’t appreciate them. Google and its Android team is all about even the subtlest of animations, something that is obvious in the updated stock Clock app. As you scroll between the alarm, world clock, timer, and stopwatch pages, each icon now shows off a little animation. Even the auto-rotate icon in the Quick Settings pulldown now animates. Outside of animations, one of the biggest changes that even garnered a mention from Google, are the new Bluetooth and WiFi options in the Quick Settings pulldown. From within the pulldown, you can now choose from different Bluetooth devices or choose a new WiFi network, all without ever having to enter the full WiFi or Bluetooth settings pages. If you pulldown your Quick Settings panel, you should see dropdown arrows next to both Bluetooth and WiFi. A tap on these will show you a list of networks or devices. Give it a try! Screen Pinning wasn’t exactly confusing before Android 5.1, but now, should you enable it, a much prettier instructions panel pops up and tells you exactly how you can get in and out of it. You won’t find us complaining about added polish. Separate media and phone volume controls! In Android 5.1, when you are playing media (YouTube, music, etc. ), you can quickly jump between adjusting the volume of your media or the volume of your notification and call settings. As you begin adjusting volume while media is playing, you are initially greeting with a media volume slider, but a tap on the notification bell will take you over to the notification panel. In Android 5.0, Google introduced heads-up notifications, which are floating pop-ups from apps that want their notifications to show at the top of your screen, no matter what you are doing. I’m still on the fence as to whether or not I love heads-up notifications, but one thing Google seems to have fixed in Android 5.1 is the option to swipe up to hide one. In 5.0, you could either swipe a heads-up notification right or left to dismiss it completely (even from your notification area), or swipe up to hide the notification but not fully dismiss it from your notifications. The swipe up rarely worked and typically caused the app to open. In 5.1, that swipe-up gesture seems to work much better.